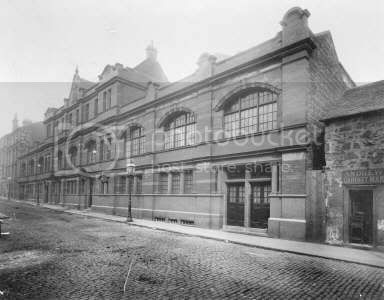 The Hidden Glasgow Forums • View topic - Baths, Wash houses and Pools - "The Steamie's"
Baths, Wash houses and Pools - "The Steamie's"
Where were they? When did they close? When were they demolished? Any original buildings still standing or still in use? Any designed by Architects of note? Anyone got fond memories of visiting these facilities? I have had a wee search through the forums / topics on HG and whilst there seems to be a fair bit of info under various different topics, i dont think there is a dedicated topic on the subject (i hope) ? Re: Baths, Wash houses and Pools - "The Steamie's"
Socceroo wrote: Where were they? When did they close? When were they demolished? Any original buildings still standing or still in use? Any designed by Architects of note? Anyone got fond memories of visiting these facilities? Whiteinch is still standing, shared building with the swimming pool. The pool was closed when the new Scotstoun leisure centre opened. Aren't Glasgow websites supposed to be about 'Glesga'? What do you mean by "a bit 'Glesga'"? I know what Escotregen means, i come from Govan originally and i was having trouble trying to follow some of the posts on the website. There is some excellent photos and memories recorded on the site. Well worth a quick look. 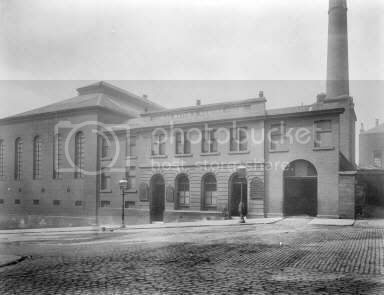 What happened to the old "steamie" and baths just off Elder street in Govan? I remember being dragged along as a very young kid by my old mother and we went to the "baths" occaisionally with the school (Fairfield Street School). ....As a major part of Glasgow’s cultural heritage, any significant elements of a ‘steamie’ or baths should be conserved in some way. They are a very threatened building type.....Any proposed reuse of Govanhill Baths must take into account much more than simply the preservation of a façade: the spaces given over to the pools are of importance and their reuse must be considered extremely carefully"
the Citizens Theatre would be over your right shoulder and a 66 would knock you down! with the fancy spires is the John Knox Free Church which in its day held 1200. Last edited by Schiehallion on Tue Oct 11, 2005 8:11 pm, edited 2 times in total. From the Virtual Mitchell site. Are these buildings no longer with us? Doh - so it is. It's a bit depressing when you see the building in it's heyday and you then compare it to the photograph of the building in it's present state. I does not look as if this building will be with us for much longer. 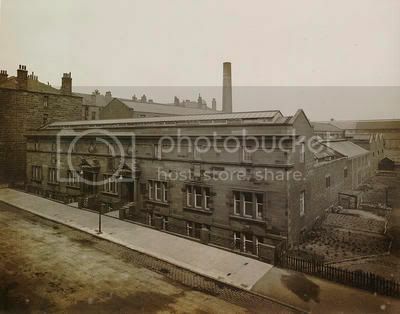 Govanhill Public Baths and Wash-house in Calder Street, c 1917. The baths were designed by A B McDonald and opened in 1917 after the architect's death. Originally they had hot baths in the upper storey and three swimming pools on the ground floor. The original wash-house at the rear of the building was converted to a launderette in the early seventies. The baths were subject to much Public support to keep them open a couple of year's ago with well a documented occupation / sit - in. unfortunately their efforts failed and the baths closed. The Govanhill Baths Trust has now been set up following the encouragement and very strong views given by Historic Scotland (as mentioned in nodrog's earlier posting), to restore and reopen the Baths. Page 2 of a two-leaved document printed on pages 1 and 2 only. 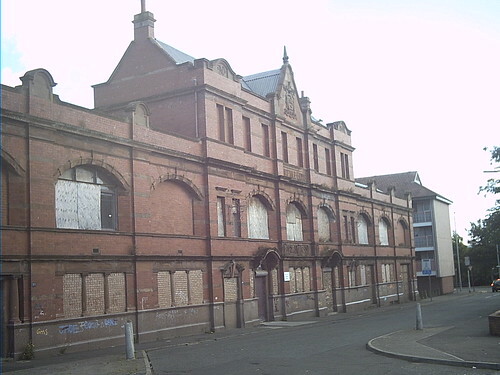 The right to run Glasgow's Public Washing House on Glasgow Green was leased by auction each year to the highest bidder. The times of opening and the charges, however, remained in the control of the Town Council. The value of the tack had fallen considerably with the formation of water companies. The charges listed tell of a two-day job to wash, bleach, synd (rinse) and blue (starch) the clothes. James Cleland's improvements to Glasgow Green had included providing piped, filtered water on the washing house green. The eastern part of the Green included open bleaching with no piped water. Washing and tramping in the large tubs had to done inside the washing house. The Council did not want the women kilting up their dresses above the knees in public view. Women who brought large tubs of their own were not charged for house-room. Click on the Document and then enlarge it, its quite legible.